Cold Tofu will present Iron Improv Stadium-adium on Saturday, Sept. 10, from 7:30 to 9 p.m. at St. Francis Xavier Chapel-Maryknoll Japanese Catholic Center, 222 S. Hewitt St. (between Second and Third streets) in Los Angeles. Cold Tofu is back and starting up the post-summer/ post-Olympic season with a little competition. You’ve seen the ensemble get down in Iron Improv — this time it’s a company-wide competition with the performing cast. Two teams will fight for your vote to take home the Tofy Award. Your vote determines the winner. Your suggestions also determine who they are or where they are. You also get to pick what games they play. You basically have complete control over these two teams. 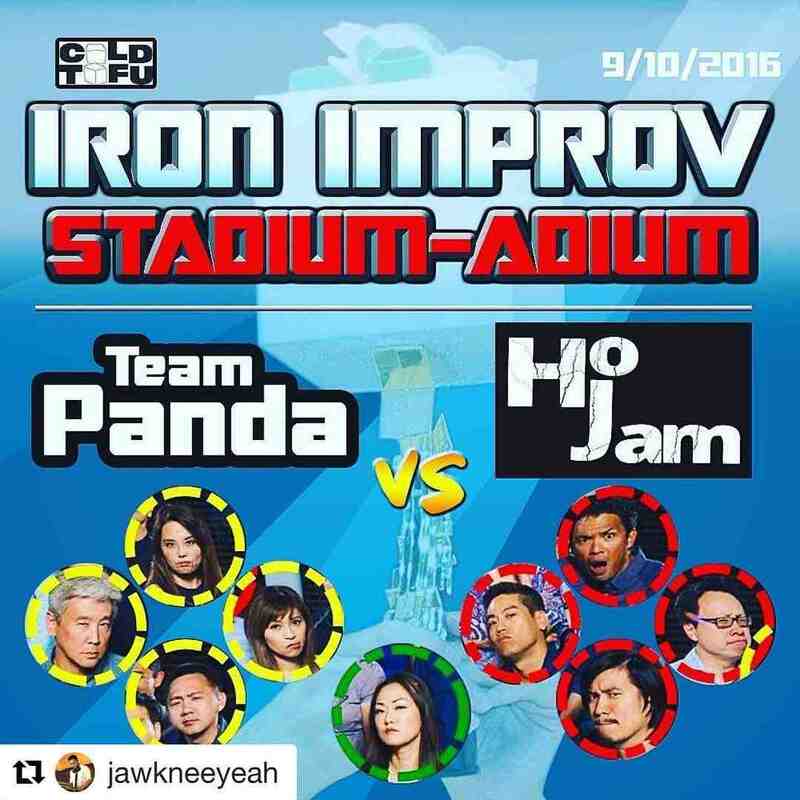 Team Panda (Helen Ota, Johnny Long Ye, Misa Nguyen and Kurt Yamamoto) will face off with Ho Jam (Mike Palma, Aaron Shizuo Aoki, Jhemon Lee, Howard Ho). Jully Lee will serve as emcee. Admission: $7. Validated parking is available in a gated lot; enter from Third Street. Pay $15 up front and receive a $10 refund with Cold Tofu validation. For more information, go to www.ColdTofu.com or visit Cold Tofu on Facebook.